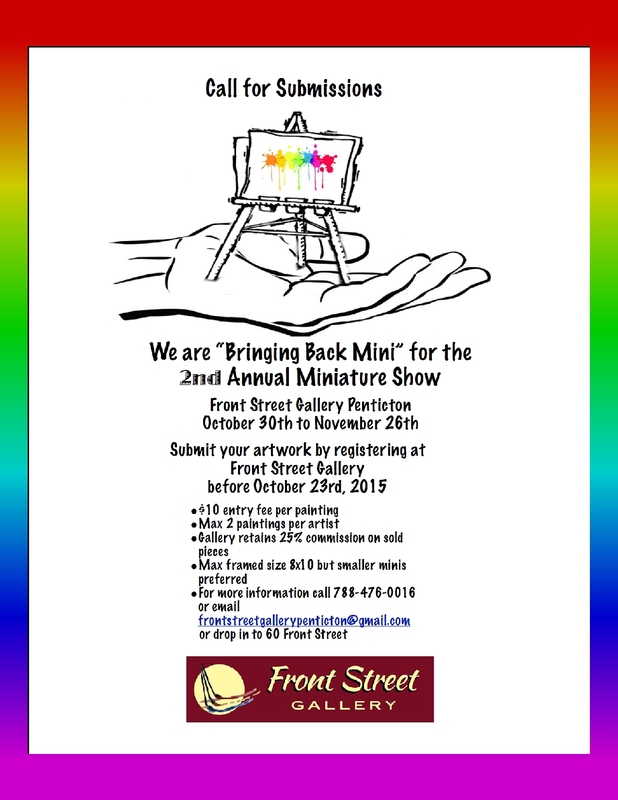 Front Street Gallery is holding a Miniature Art Show on October 30 – November 26 at Front Street Gallery. Entries are due by October 23rd and there are still a few spots available. This is a great opportunity to have your work hang in a gallery for a month for just $10. People often come to the gallery looking for miniature work. Come and join the fun at Front Street! A poster with more information is attached.